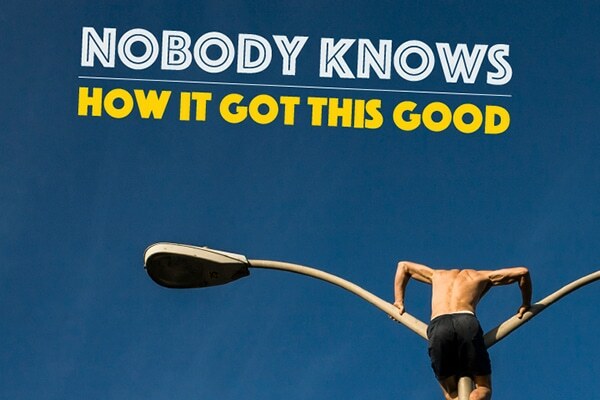 Amos Jasper Wright’s Nobody Knows How It Got This Good is a collection of short stories woven together in an intricate but rough fashion, a vehicle to examine Southern duality in dry clarity. It’s a world where a woman’s ex-husband drives her Jaguar into a lake with her mannequin look-alike strapped inside, while a Walmart “associate” dies under the feet of a stampeding Black Friday crowd. Sheets are not only the linens you sleep safely between; they are also the garments worn by the loathsome Ku Klux Klan. Reminders of its members are in your cereal. And the wood with which they carve burning crosses is the same wood from which homes are constructed. Wright’s character vignettes expose Southern ugliness under harsh fluorescent lights. “Nobody Knows How It Got This Good,” the collection’s namesake, adds a new sin to a long list of Southern violations: Walmart. The narrator describes the super center’s arrival as “some kind of Mardi Gras meets Donner Party”—already implying the dog-eat-dog nature of its grasp on consumerism. The store initially functions as a savior for an otherwise faltering Alabama town, providing jobs and access to affordable products; however, the animalistic nature of its shoppers is called into question when an unfortunate associate meets his untimely end in the savage hastiness of Black Friday. Wright calls into question the values of the general public: the lives of other humans vs. a good deal on electronics. “Birmingham Goddamn” offers lessons through unsettling dichotomies like a framed photograph replaced by its negative. The narrator reminisces over his boyhood with a haunted, hyper-masculine father dead-set on finding redemption for his past sins. These sins are of a specifically Southern flavor: being on the wrong side of history. The age-old excuse of “just following orders” creeps behind his every action. His one desire is to teach his son the perils of “just following orders,” and the guilt that can come of it. The father wants the following generation to remember how easily a hero can turn villain in the face of unjust laws—and rightfully so. History repeats itself when the onlookers fail to notice patterns. Morality slips between cracked pavement. Wright threads the lives of his characters together in a coming-and-going style. The narrators have all crossed paths unknowingly at different points in time. They all inhabit Birmingham, Alabama and its outskirts. Raw humor mingles with frighteningly familiar themes that unapologetically show Southerners the deep-seated shame and idolization to which they cling in an effort to distract themselves. For better or for worse, the author picks deep into their inner-monologues. While this depth allows the reader to experience intimate details wedged into the sour side of Southern culture, it occasionally distracts by spiraling too deeply into itself, like an elevator that misses the desired stop.